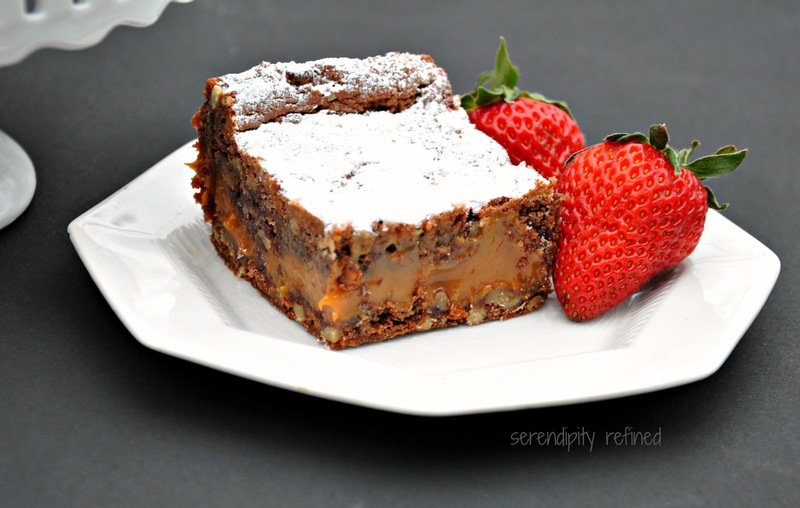 I probably don't need to tell you that I've never found a chocolate recipe that I didn't like and that if anyone ever asked me, chocolate and caramel should be considered their own food group. Yep. Right there on the food pyramid...up at the very top...in a little triangle all their own. They should be right there...next to licorice...and gummy bears. 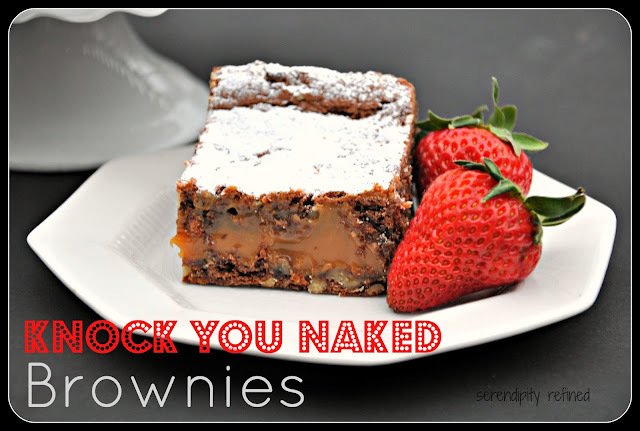 When I found this recipe on Group Recipes and the name of them was, "Knock You Naked Brownies" I've got to admit, they had my attention. 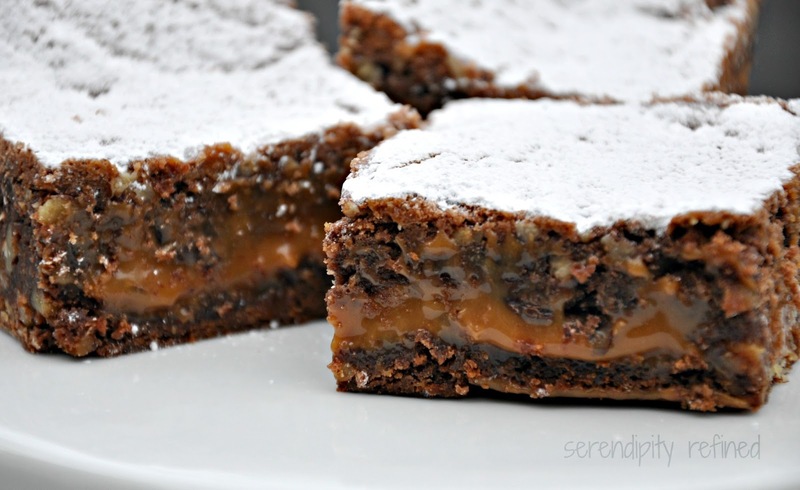 But when I read the ingredient list and saw both chocolate AND caramel, I knew that I was making a pan of these tonight...even though daylight was waning and I knew that some of the photos would likely be a little yellow. So, let's get to it, shall we?! 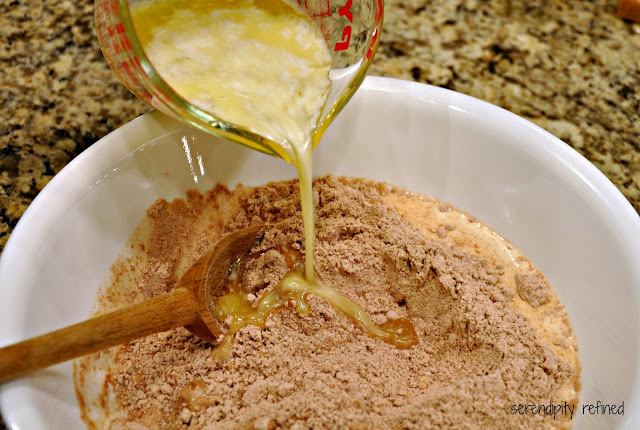 This is another six ingredient recipe...you remember my Chocolate French Silk Pie recipe, don't you? If you don't, let me explain: It is my very strong opinion (borne out by years of trial and error) that, if a recipe contains only six ingredients, I really can't mess it up too badly. 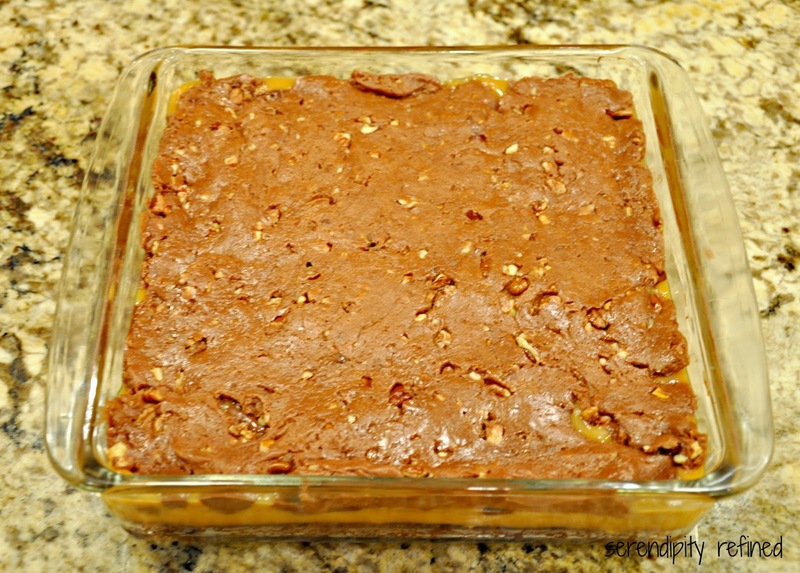 First, dump a box of German Chocolate Cake Mix (not Devils Food, not Chocolate Fudge, not Double Chocolate) it must be GERMAN chocolate don't ask me why, I didn't make this up; the people at Salt Creek Restaurant in Breckenridge Colorado did). Where was I!? Oh, right...dump a box of GERMAN chocolate cake mix into a large bowl. Add 1/2 cup of evaporated milk and the melted butter. Stir well while resisting the urge to lick the spoon and deciding to fortify yourself with a few chocolate chips before adding the nuts. Finely chop some pecans. 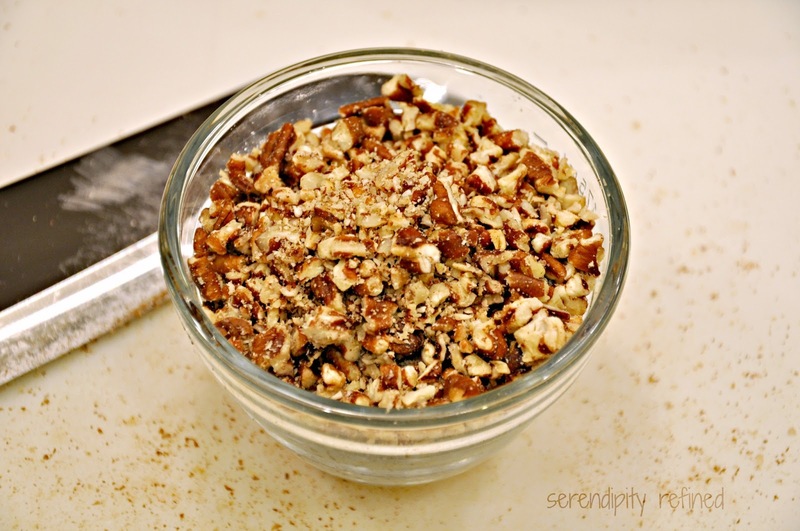 You'll need one cup of finely chopped pecans. Pay close attention....one cup of finely chopped pecans is NOT the same as one cup of pecans, finely chopped. 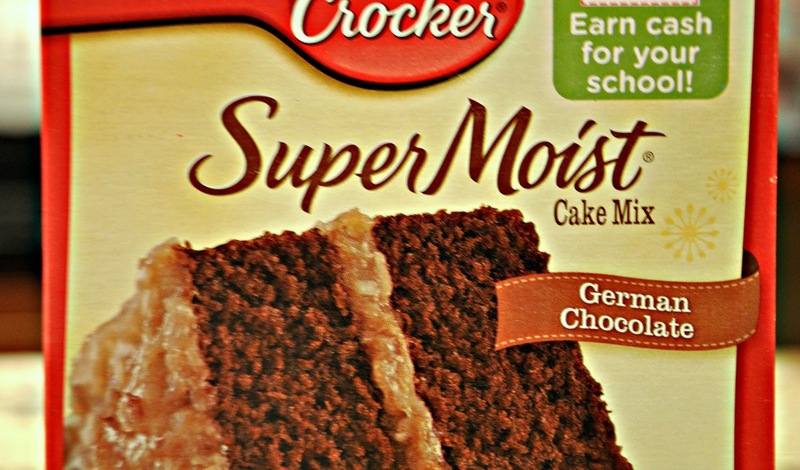 I've found that in baking, the order of the words matters. So does punctuation...and math. There's almost always a little math. 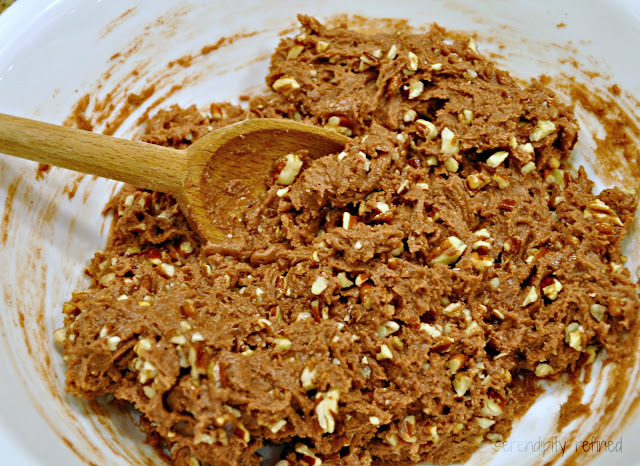 Add the pecans to the cake mix and stir until well combined. The dough is going to be solid but sticky. Divide the batter in half and press half of it into the bottom of an oiled (or sprayed with cooking spray) 9"x 9" baking dish. Bake at 350 degrees for 8-10 minutes. 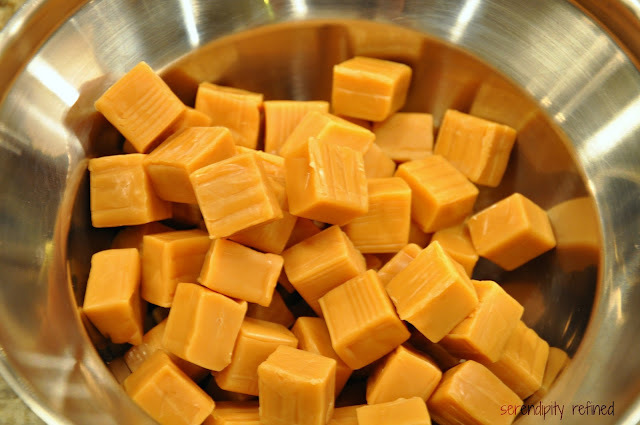 While the bottom is baking, unwrap have your son unwrap the contents of a 14 ounce bag of caramels and put them into a double boiler (or bowl that can be suspended over boiling water). Notice that a few of the caramels are missing and open a second bag and replace them. 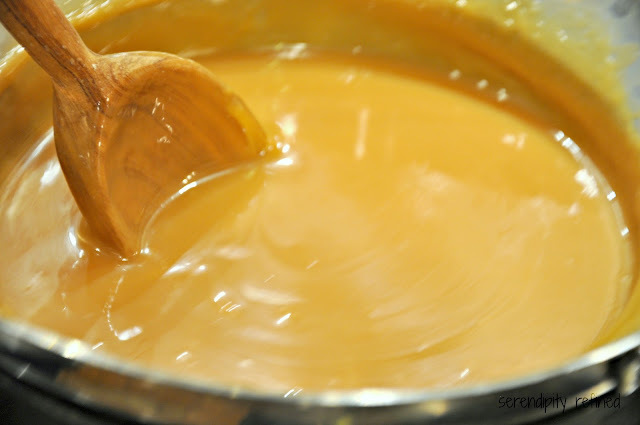 Add 1/2 cup of evaporated milk and heat until smooth. Notice that between the chopped pecans, the melted caramel and the chocolate chips that are waiting on the counter, you've darned near got the ingredients to make a Turtle Sundae. Wonder aloud if there's any vanilla ice cream left. Check the freezer. Resign yourself to the fact that there's no ice cream and it's nearing eleven P.M. which is too late to go to the store if you want to get this post done. Return, disappointed, to stirring the caramels. 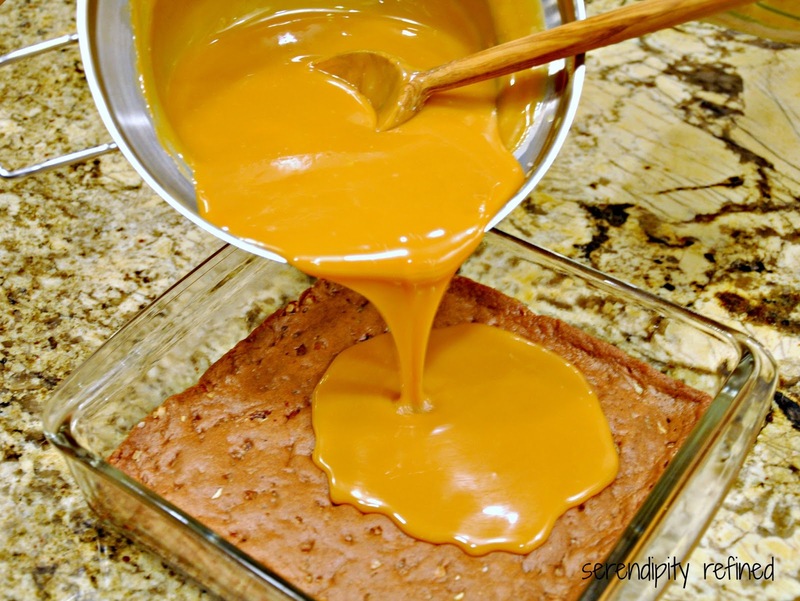 Remove the brownies from the oven and pour the caramel over the bottom layer. Sprinkle 1/2 cup of chocolate chips over the top of the caramel and set the pan aside. 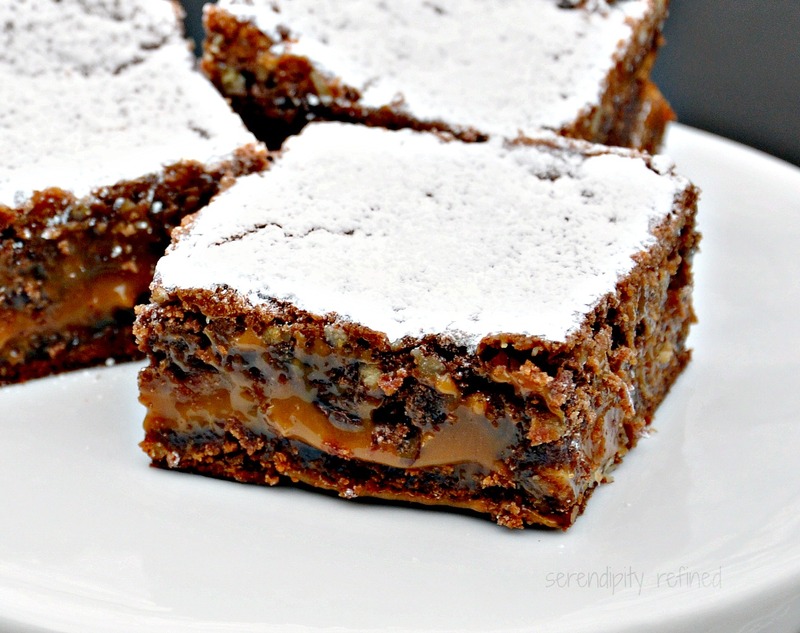 The recipe says to chill until the caramel is hard and then spread the remaining cake mixture on top but I've never been patient enough to do that because by the time that I decide to make these, I'm usually craving chocolate so badly that I'm tempted to eat the raw dough. 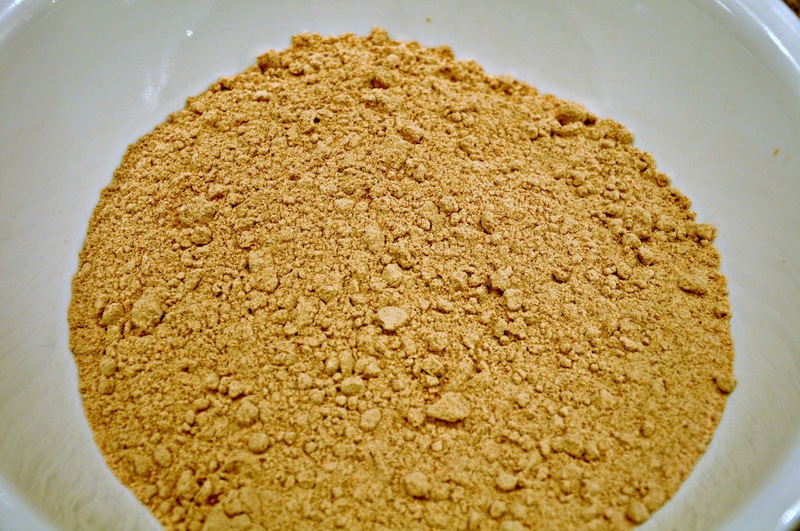 I put the remaining dough on a sheet of waxed paper or kitchen parchment and form a rough square. Then, I transfer to the top of the caramel layer and bake for an additional 20 to 30 minutes (28 to 30 minutes if you follow the rules and chill, 20 to 25 if you're a rule-breaker, like me). Now comes the difficult part of the recipe. This is the part where you may decide that you really don't like me very much. It's the part that almost breaks me very. single. time. You need to wait for at least three hours for the brownies to chill so that you can cut them into nice squares and take pictures of them to put on the Internet because then you can coat them with powdered sugar and cut them into actual squares rather than eating them right out of the hot pan with a bowl and a spoon and a couple of scoops of vanilla ice cream. (Not that anyone in my family would know a thing about that. 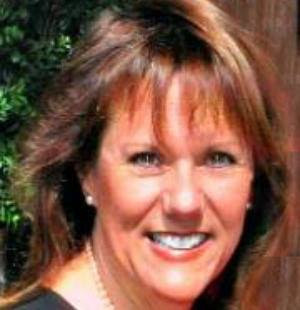 Put the brownies in the refrigerator, put a sign on them threatening your family if they even consider touching them and go to sleep (or, if you make these before 11 p.m., go for a walk, throw in a couple of loads of laundry, go shopping or knit a scarf. It's going to be a while...or at least it will feel that way). After three to four hours, rescue the brownies from the refrigerator and dust liberally (meaning coat those little babies until you can't see the chocolate) with powdered sugar. Cut them into pieces that are proportioned appropriately for the people who are going to eat them. At our house, they'd prefer that I just divide the pan into fourths but really, 9 pieces is probably more appropriate. I'm told that they can also be frozen in case you're like me and you need to have a little chocolate on hand for those times when it's either that or a 2 am drive to the market. Please note that I said I've been told that the leftovers freeze really well. I'm still waiting to have leftovers to try that with. 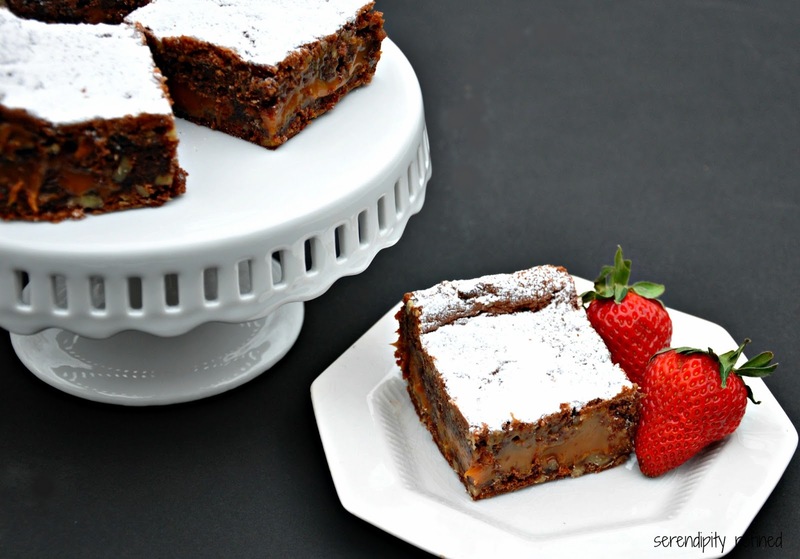 If you make them and you have leftovers and you freeze them, let me know how it goes, will you? If you live in a house full of men like I do, you'll want to hide them in the section of the freezer where the frozen vegetables are. They'll be safe there. Don't put them near the ice cream...or the bacon. Trust me. They'll be gone before the light inside the freezer goes out. Place caramels and 1/2 cup evaporated milk in a double boiler and melt over medium heat.While caramels are melting, combine cake mix, 1/2 cup of Evaporated Milk, 1/2 cup of melted butter and chopped pecans in a large mixing bowl. 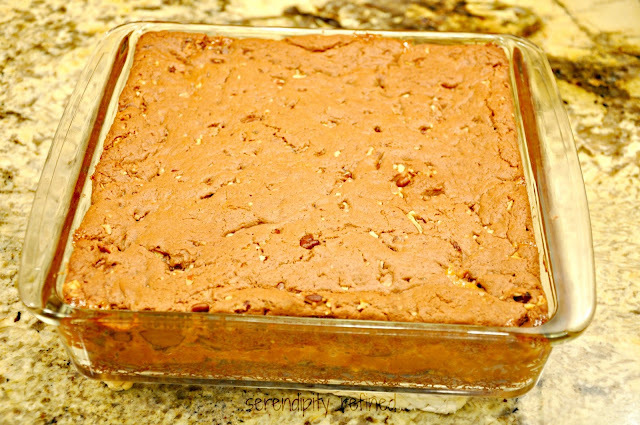 Spread 1/2 of the batter into the bottom of an oiled 9" x 9" baking pan. Bake 8-10 minutes; until outside edges are done but center is still slightly wobbly. Remove from oven. 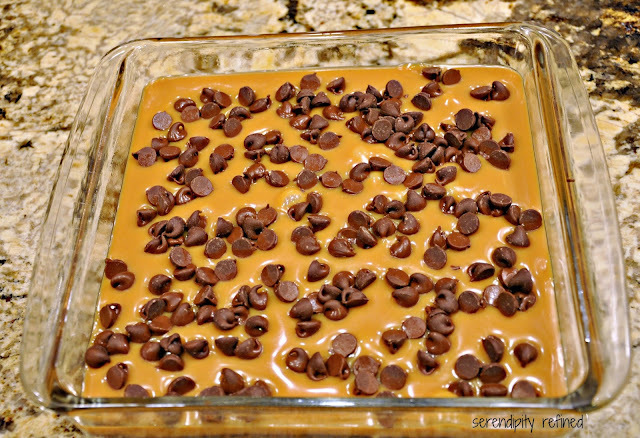 Pour caramel mixture on top and then top with chocolate chips. On waxed or parchment paper, form a rough square from the remaining dough. 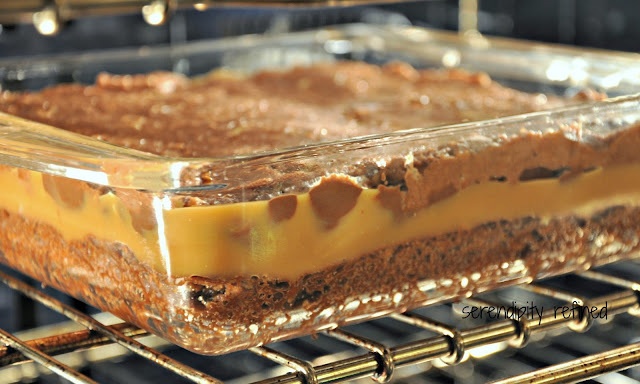 Place it over the caramel/chocolate layer and bake for 20 to 25 minutes until the top layer looks done. Chill for 3-4 hours. 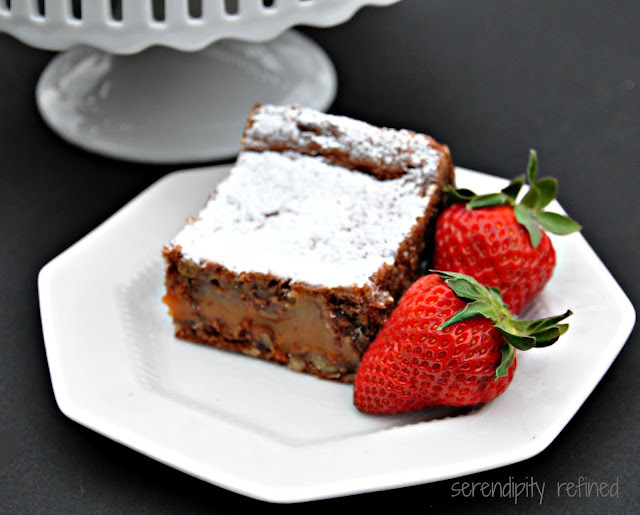 Dust liberally with powdered sugar and serve.